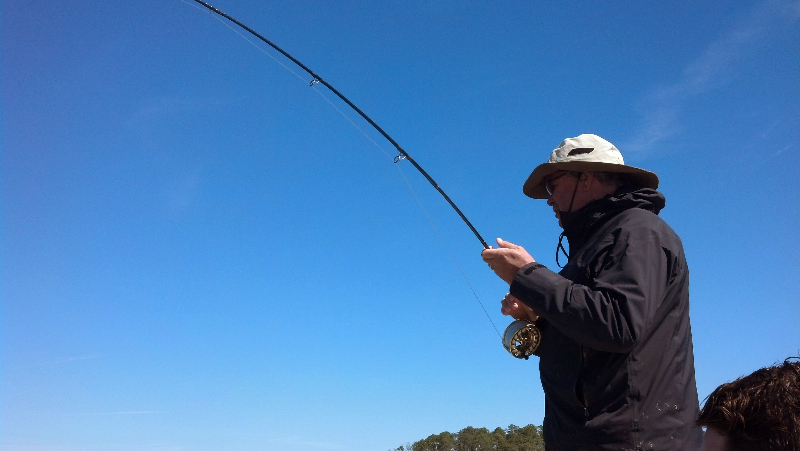 Most of February continued with cold and windy weather. 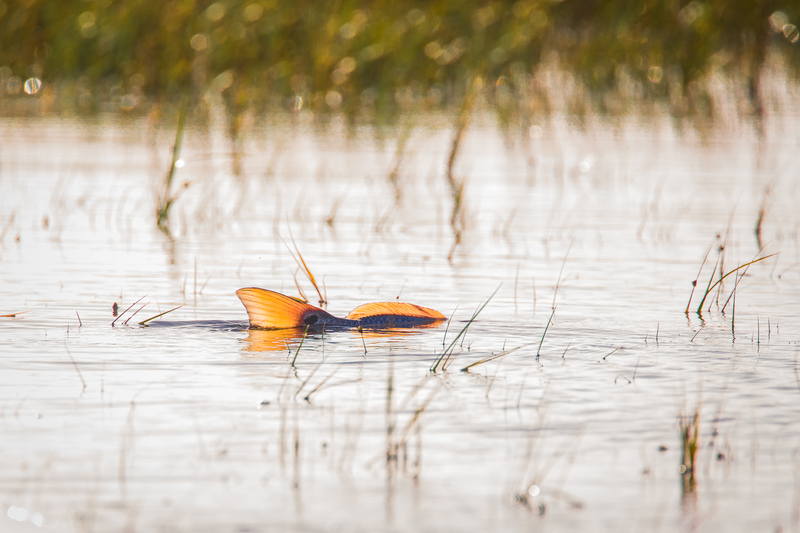 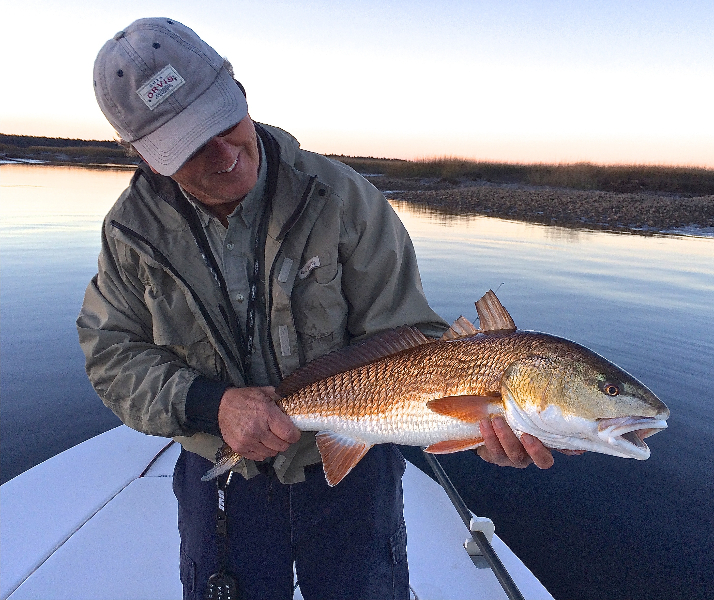 During the middle of the February, Spring began teasing us with a few nice days, and the sight fishing for red fish came on fire. 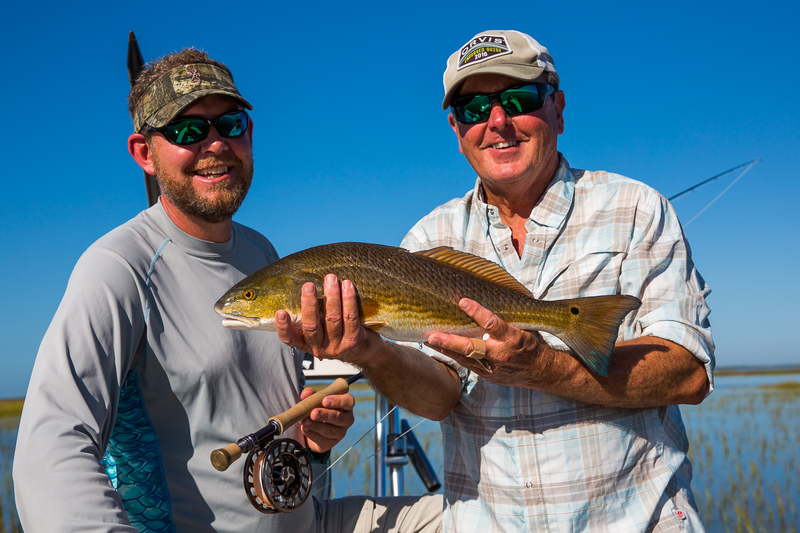 Two brothers, Jim and Craig, were visiting from Canada. 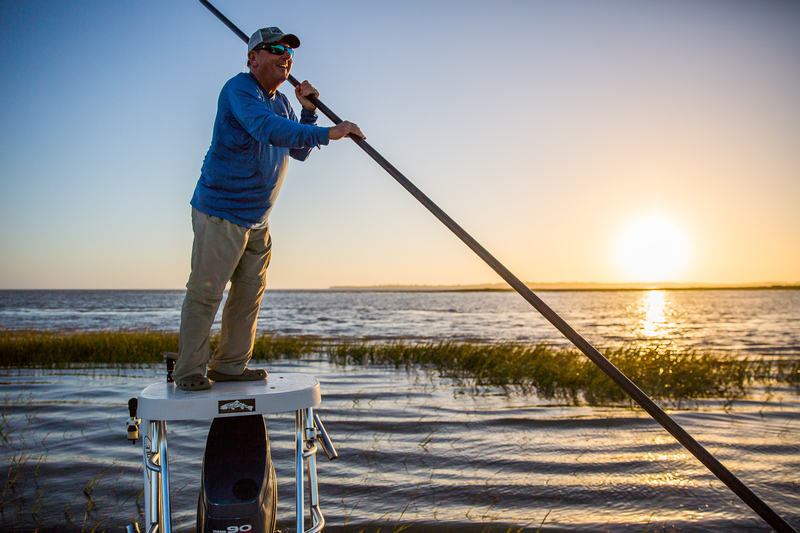 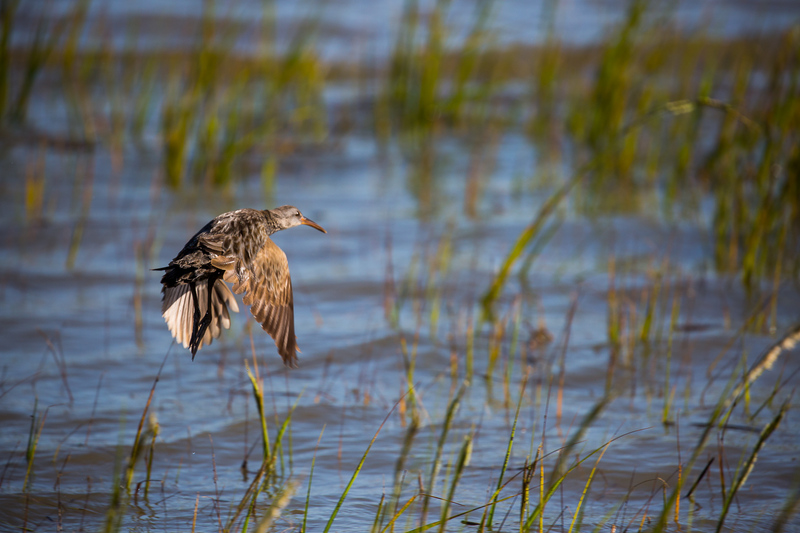 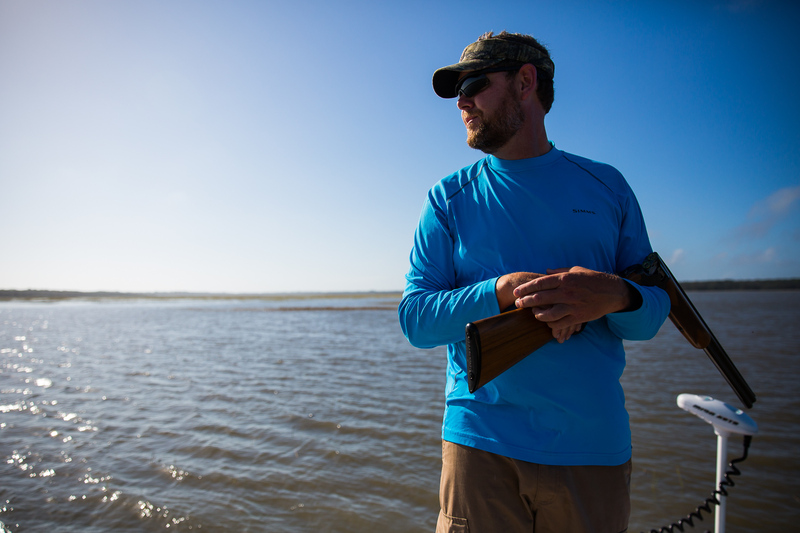 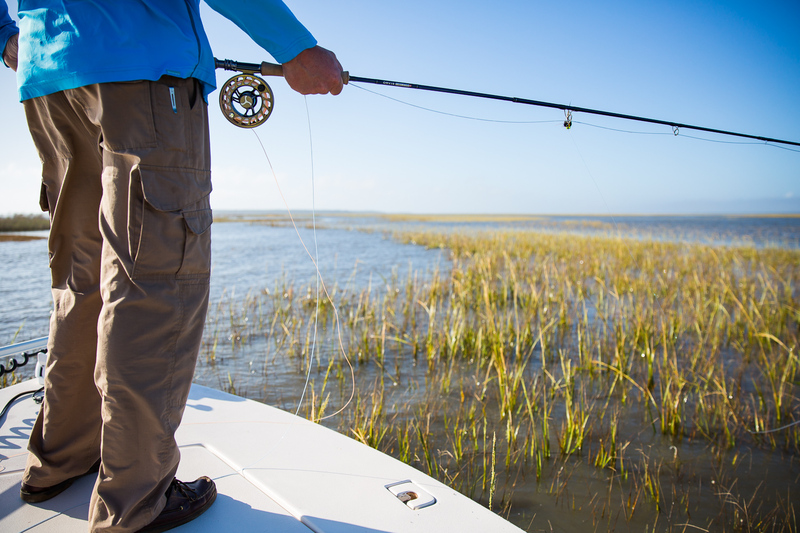 We made a long run to fish a flat that does not receive the pressure the flats around St. Simons receive. 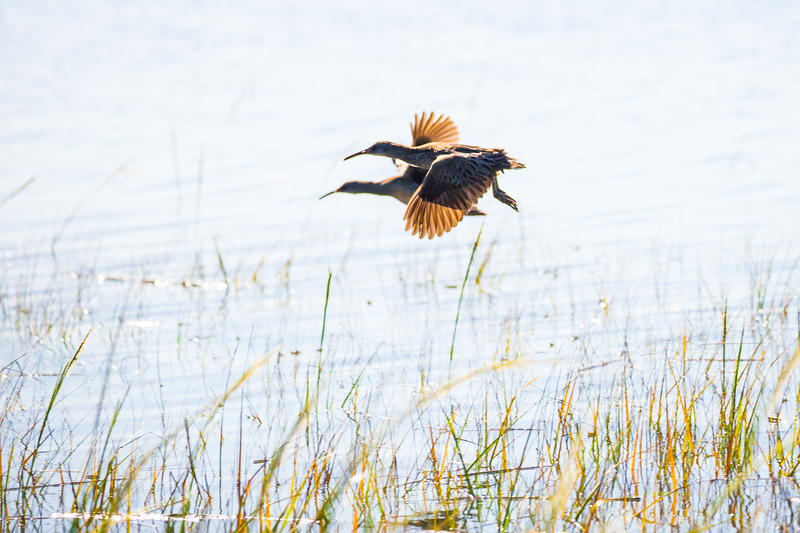 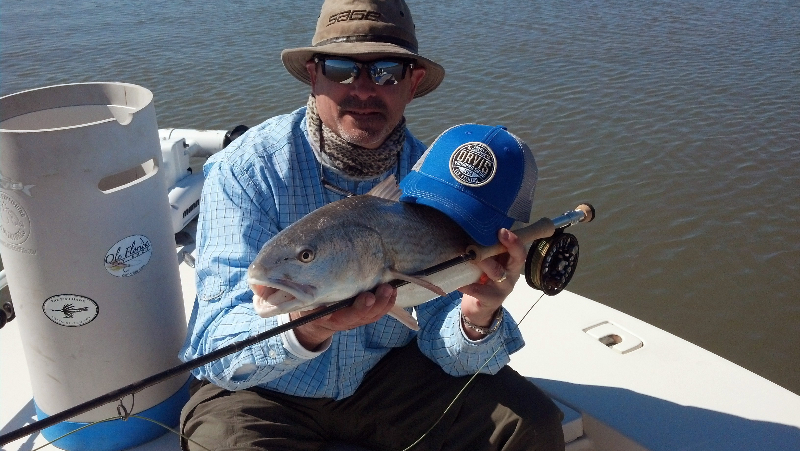 They were rewarded with several nice fish. 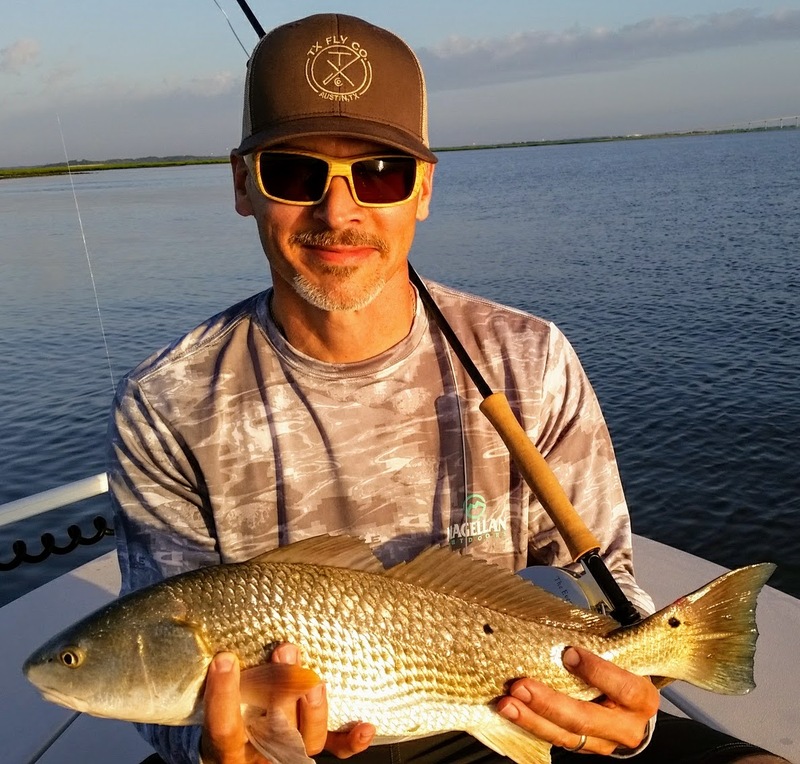 After sight fishing to multiple large schools of fish and after they figured out how to strip strike, we were able to get a few to the boat. 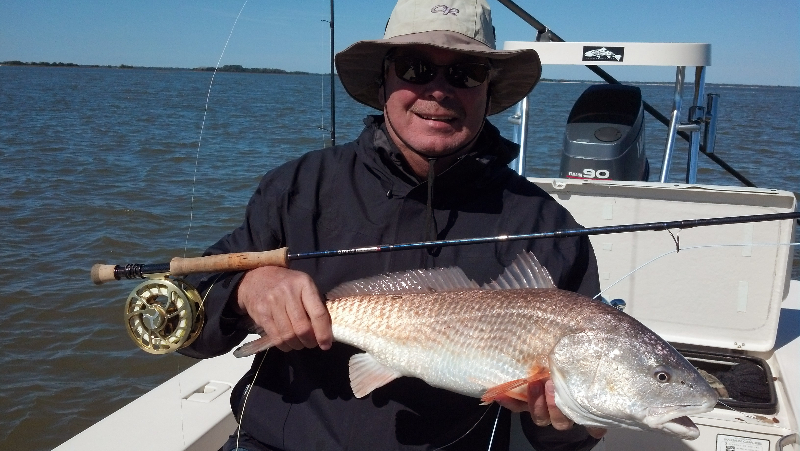 The latter half of February and the first few days of March were windy and cold, not good sight fishing weather. 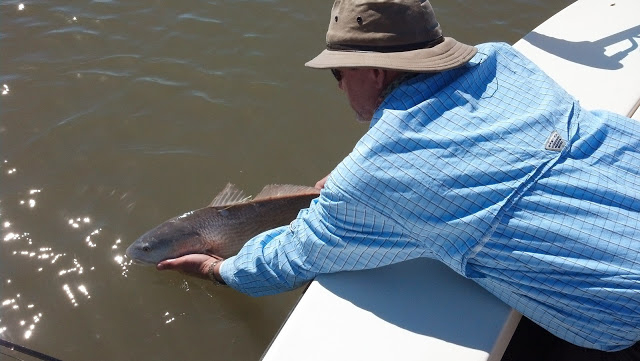 However, during the second and third week in March, we had light winds, bright skies, clear water, neap tides and happy fish. 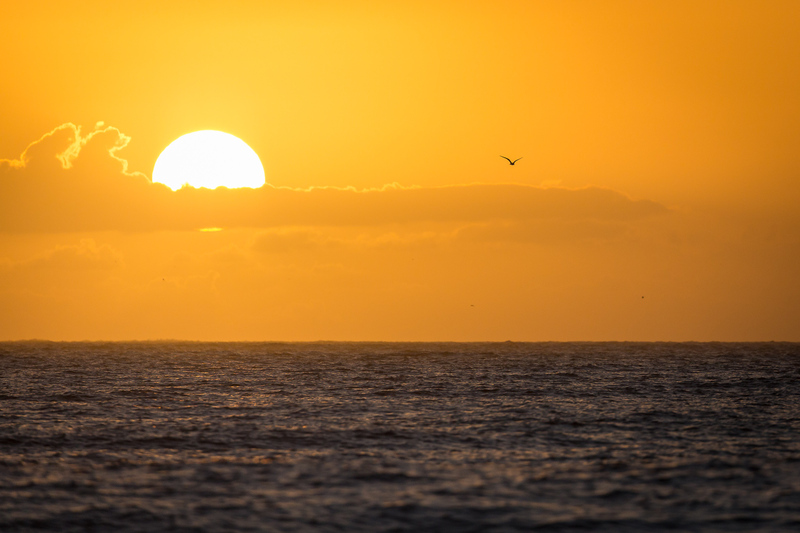 These weeks are spring break weeks for many Universities, public and private schools across the country. 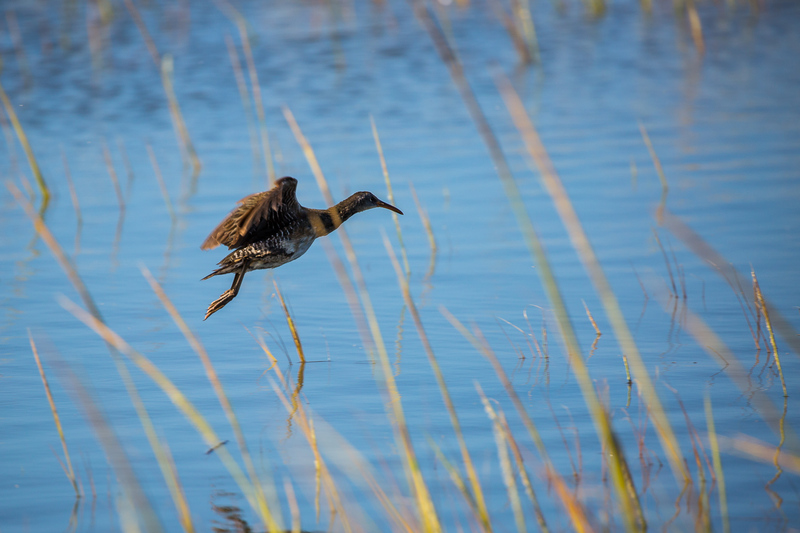 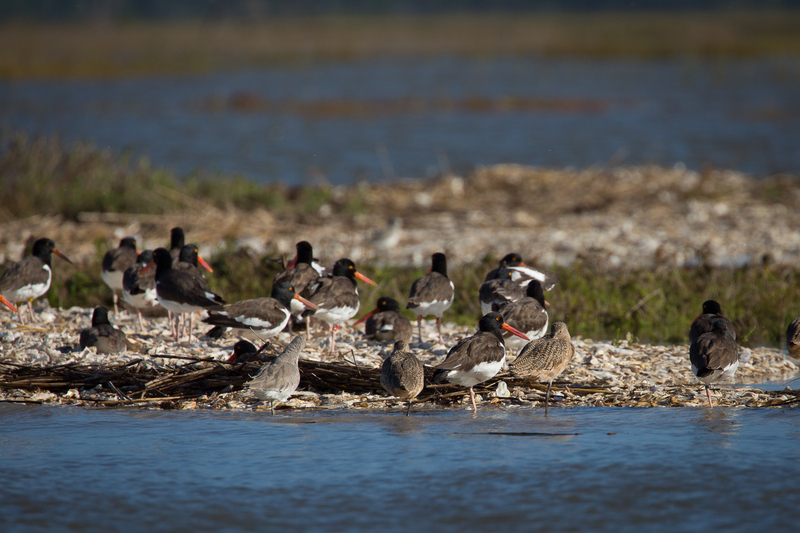 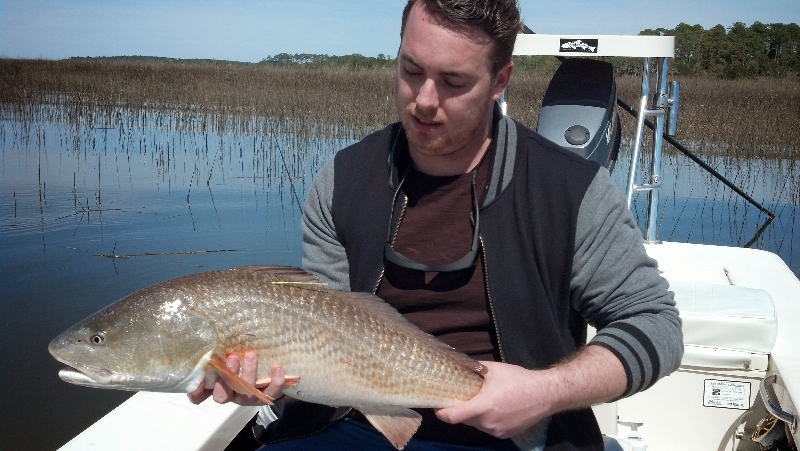 The Golden Isles was alive with Spring Breakers. 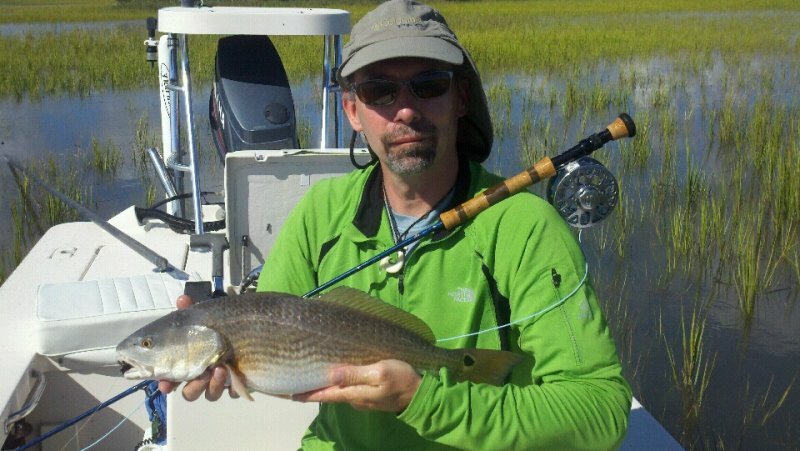 Several of them had a nice tug on the fly rod, pictures below. 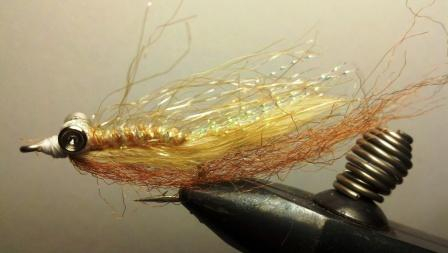 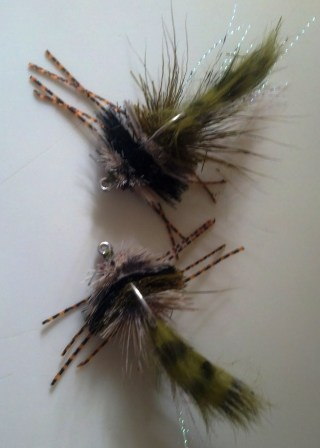 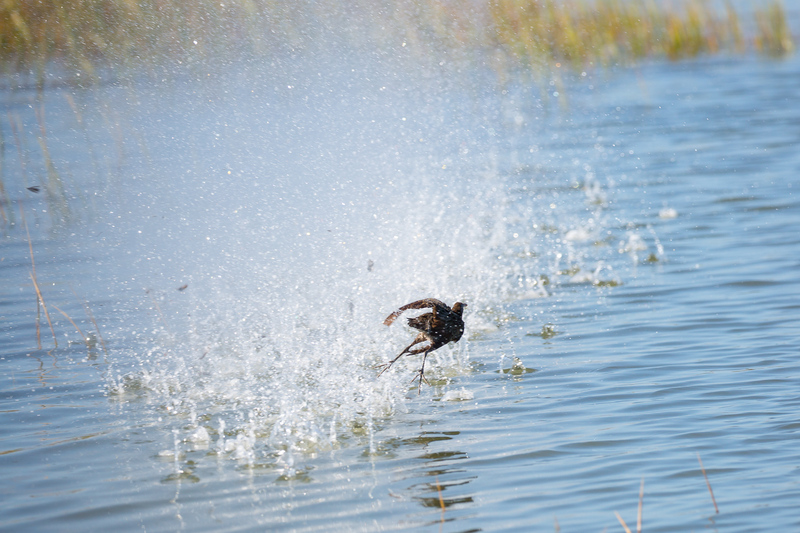 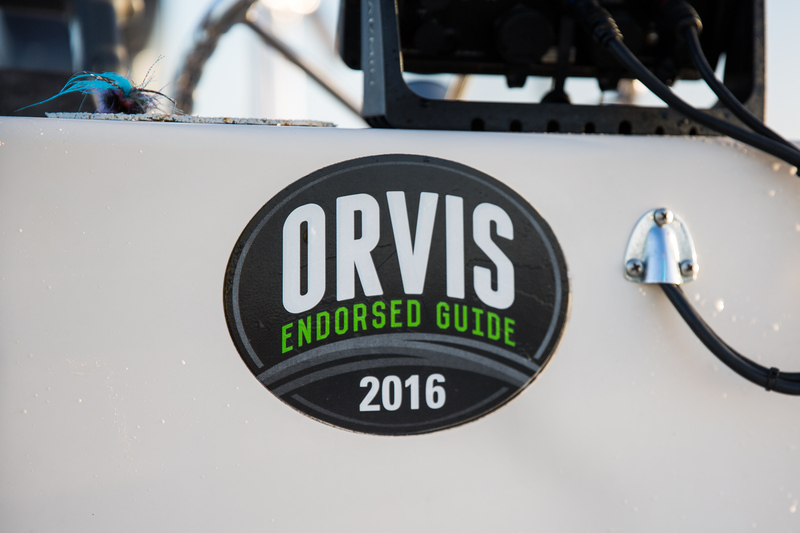 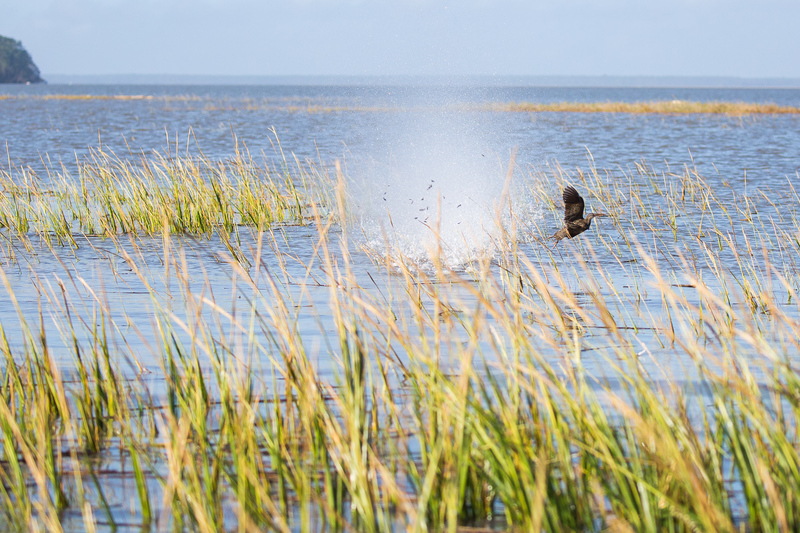 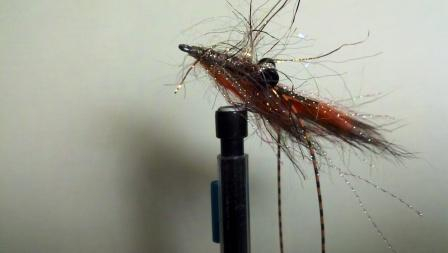 Flies that caught fish this past week sight fishing were the Spun Deer Hair Marsh Crab, St. Simons Scampi, Prawn’s Revenge and the Chernobyl Flash Bang. 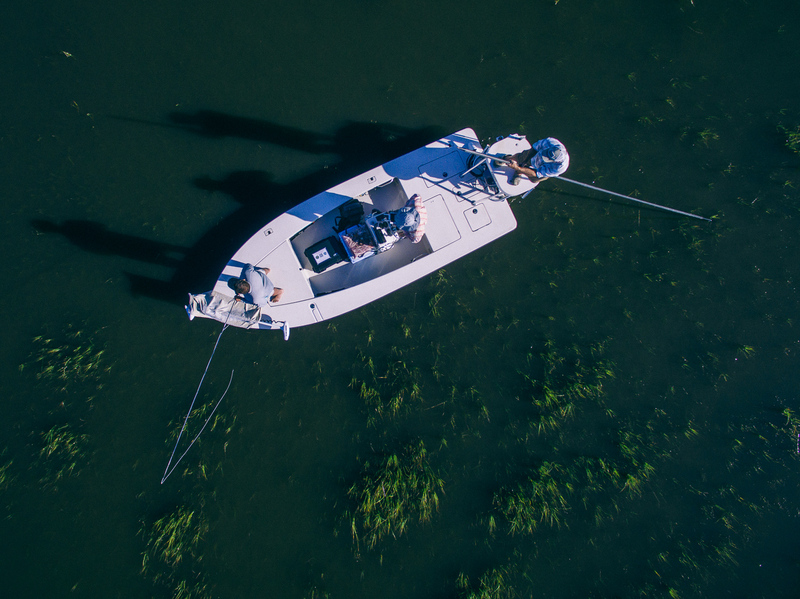 As of this week, the water is still in the mid 50 degree range. 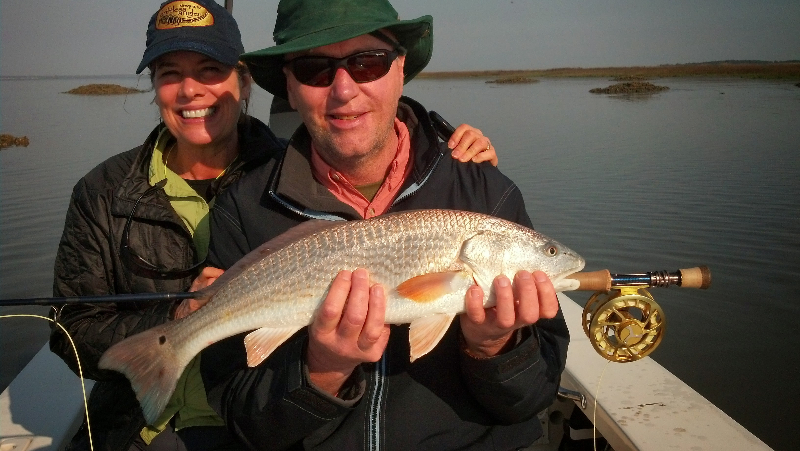 That means the red fish are still in their big wintertime schools, and the water is still clear. 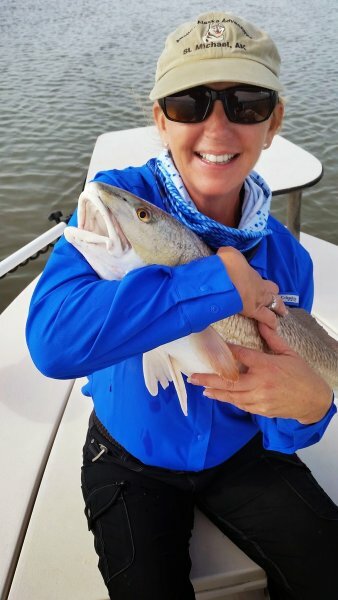 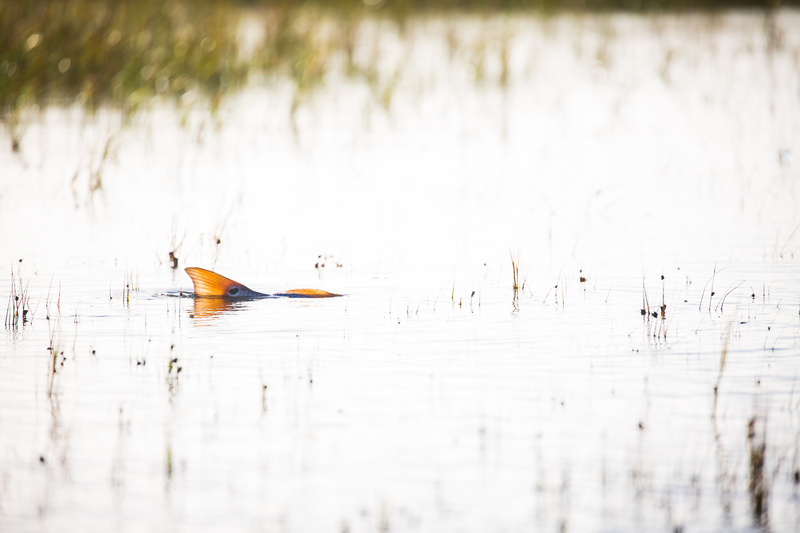 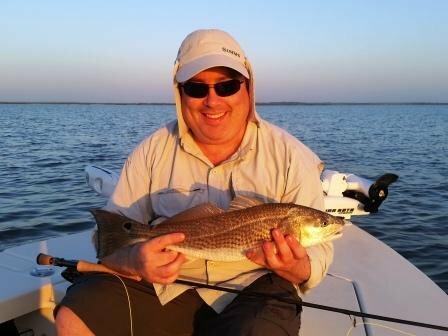 I expect the clear water and big schools of Red Fish will continue right into the first of April, and the sight fishing for big red fish will continue to be off the charts. 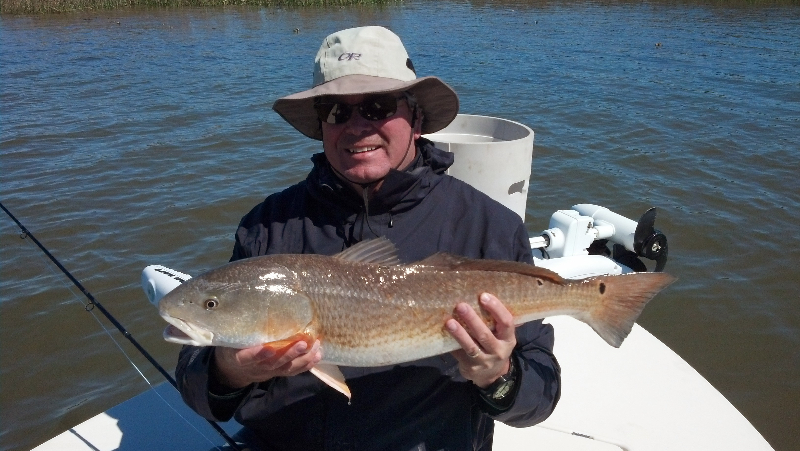 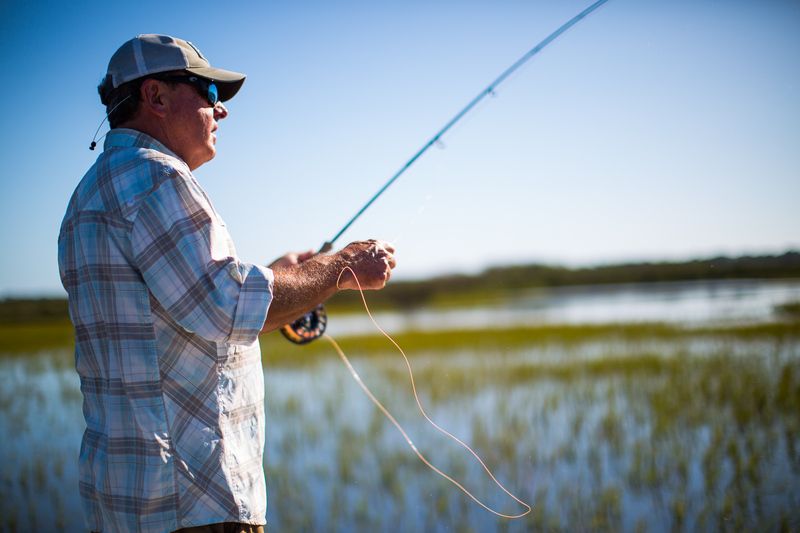 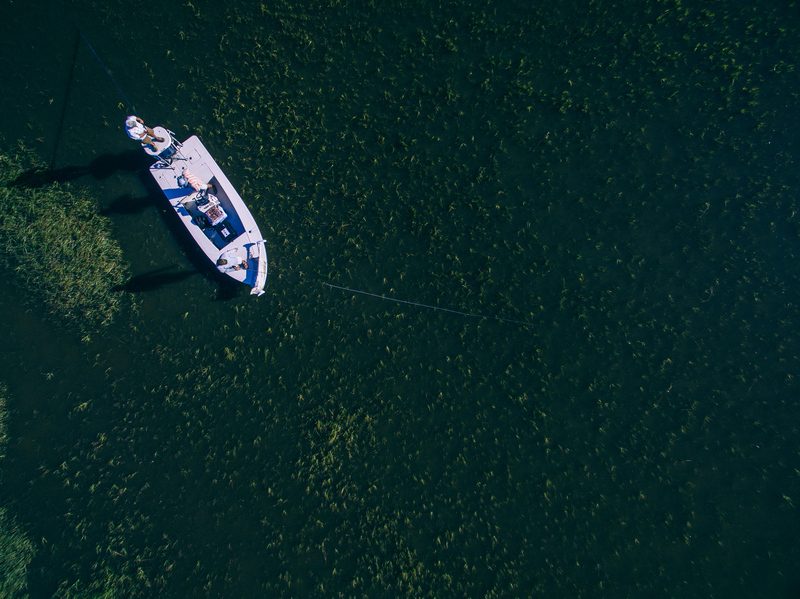 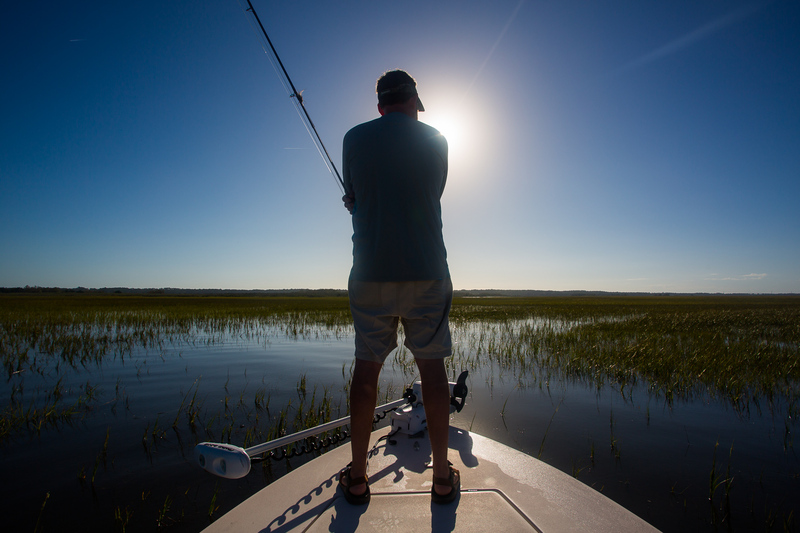 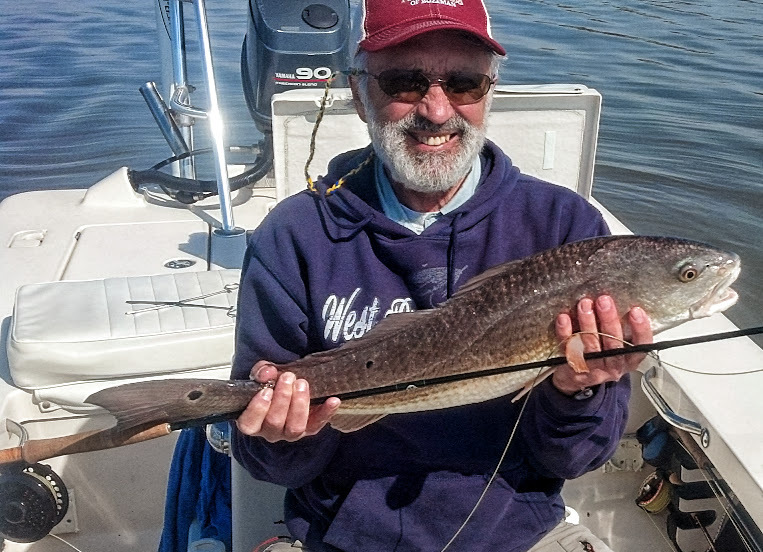 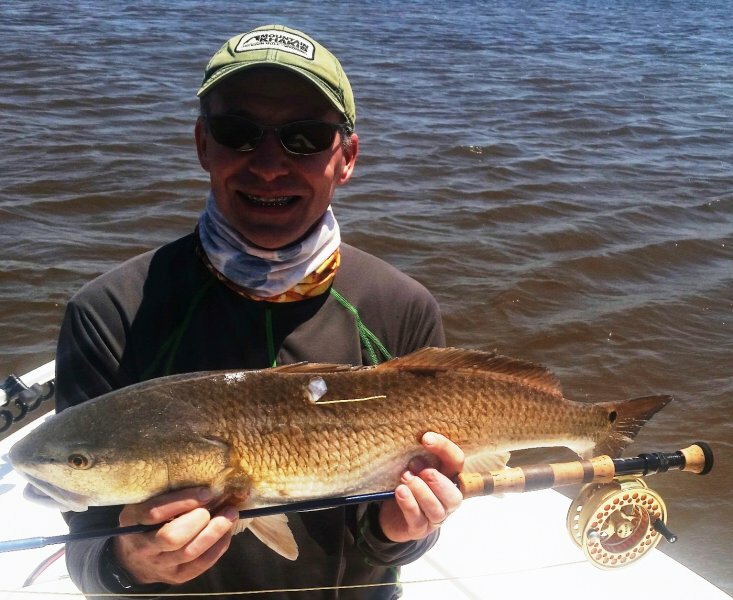 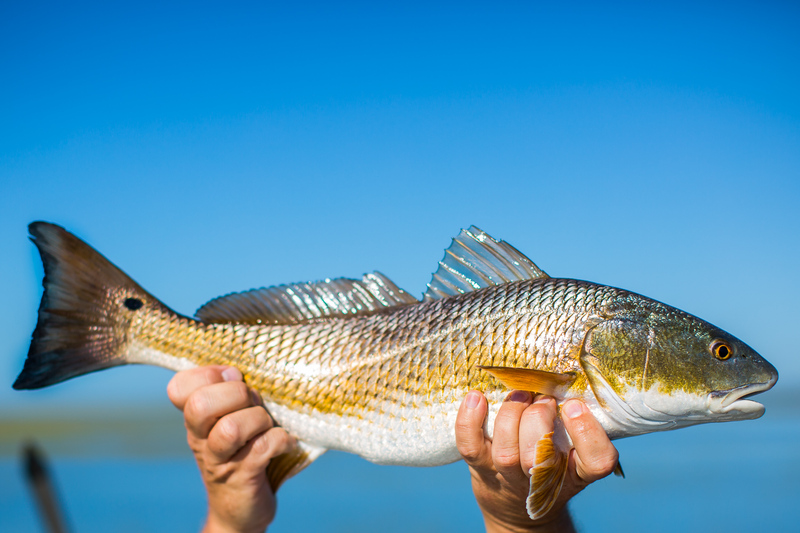 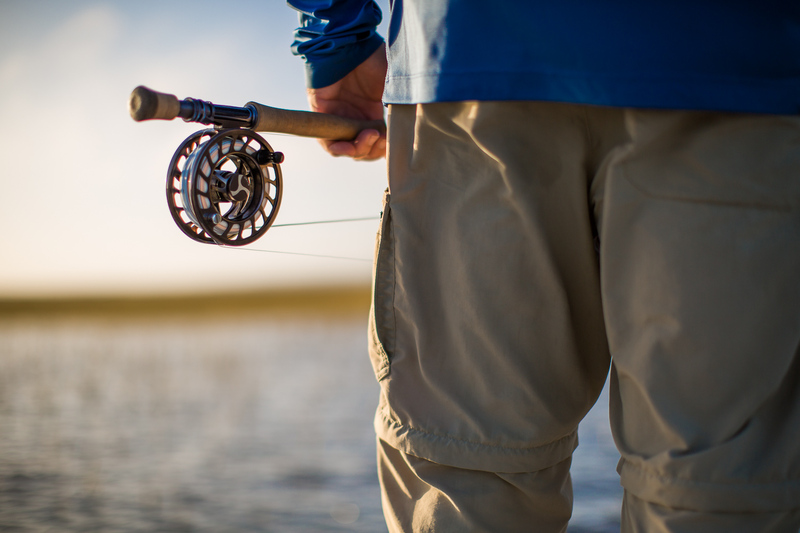 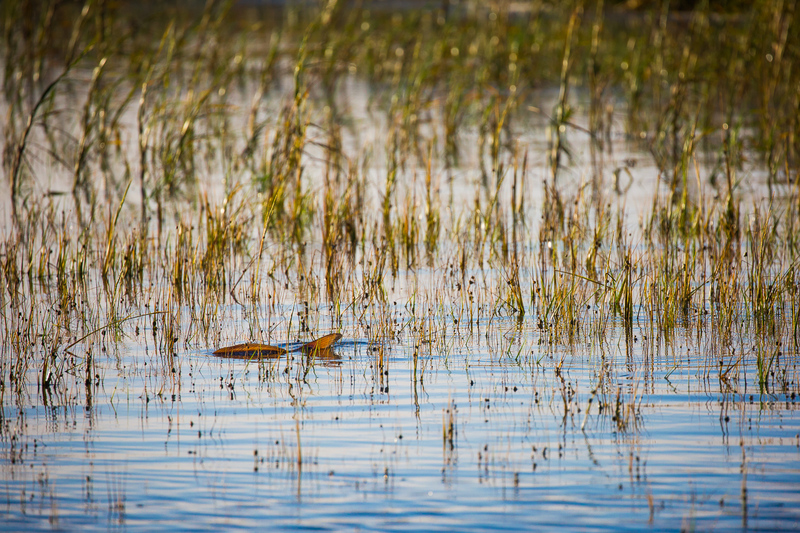 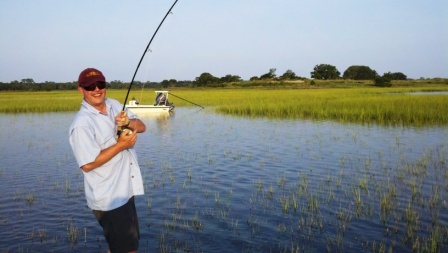 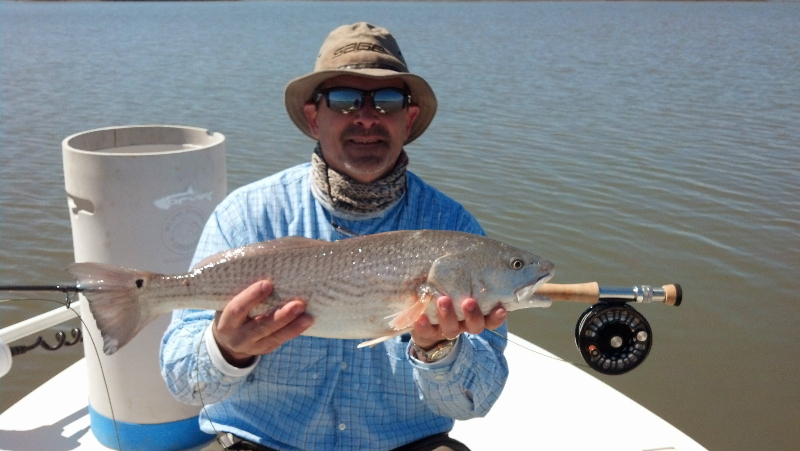 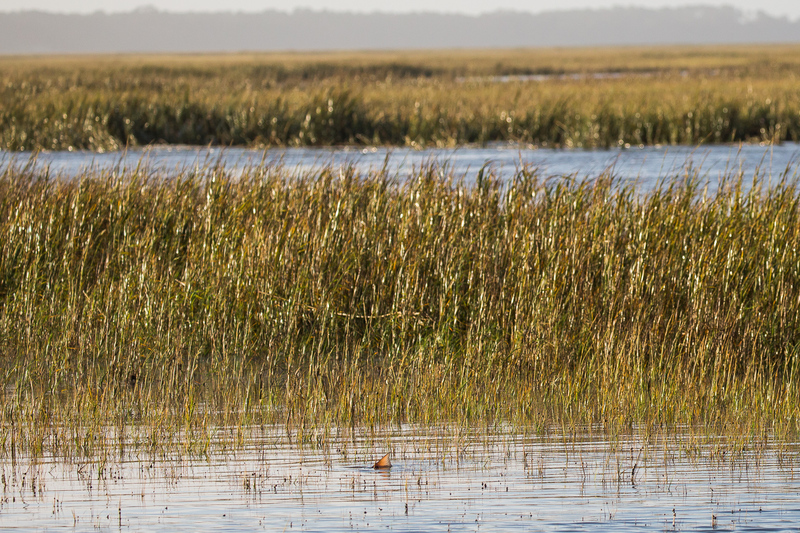 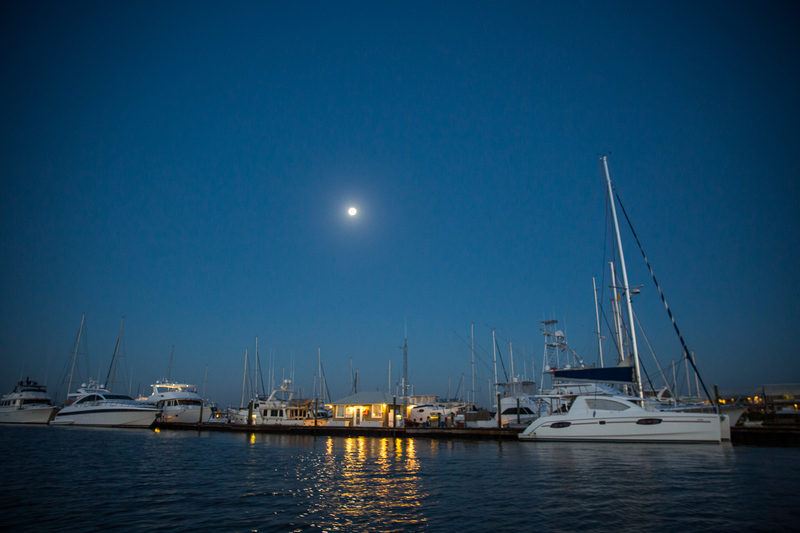 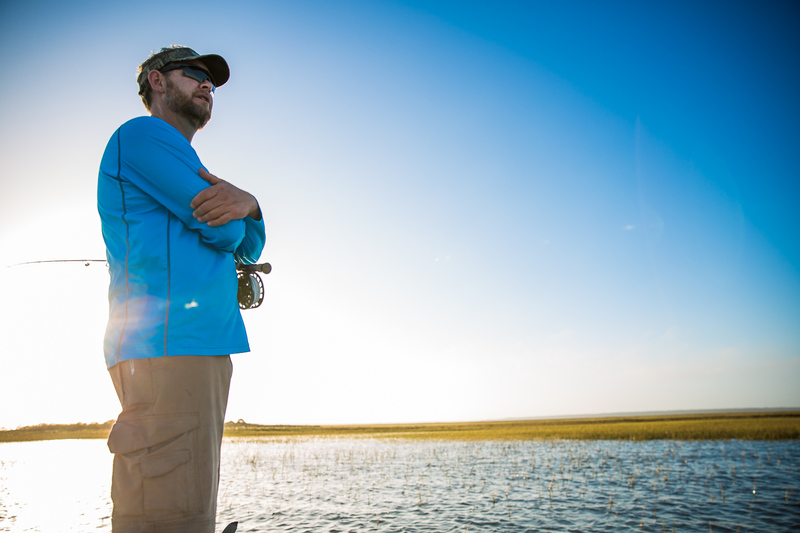 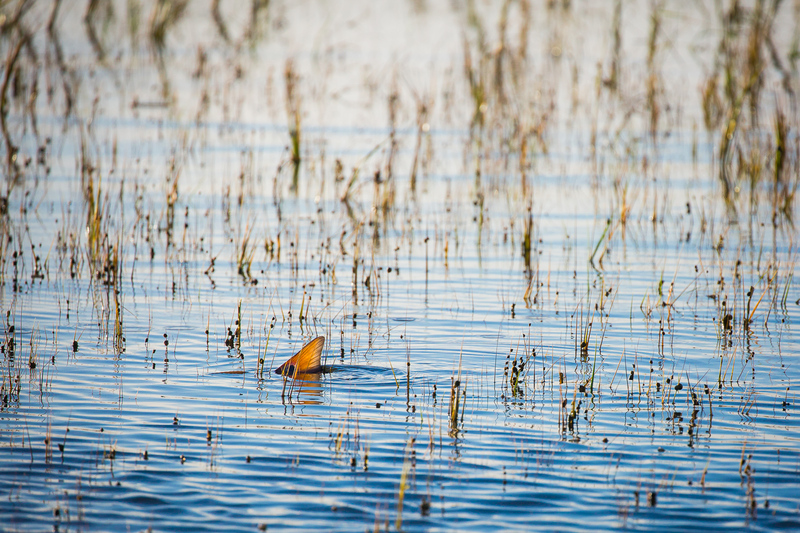 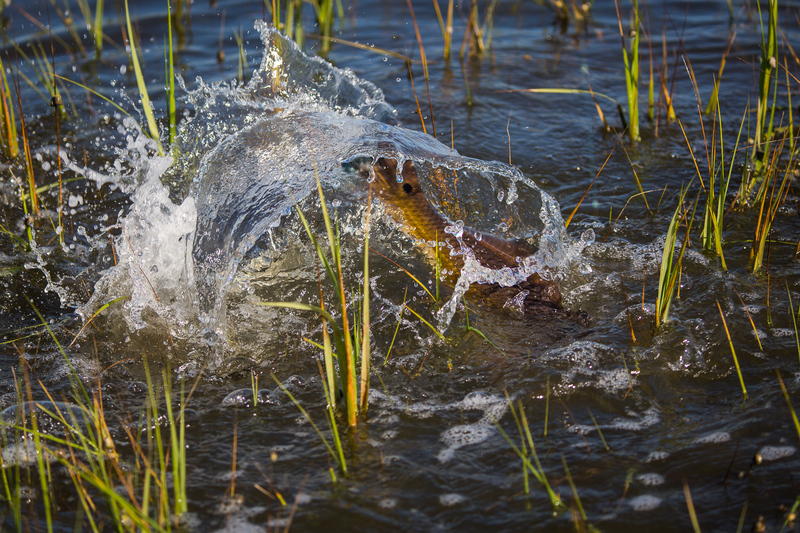 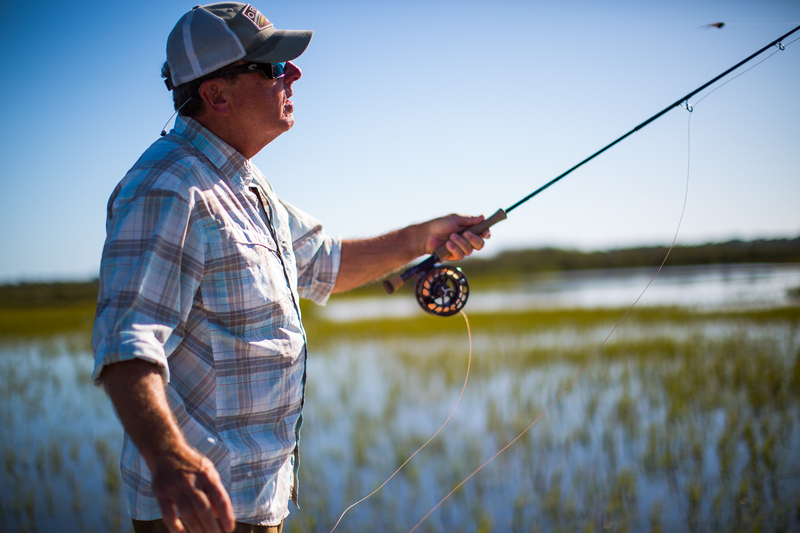 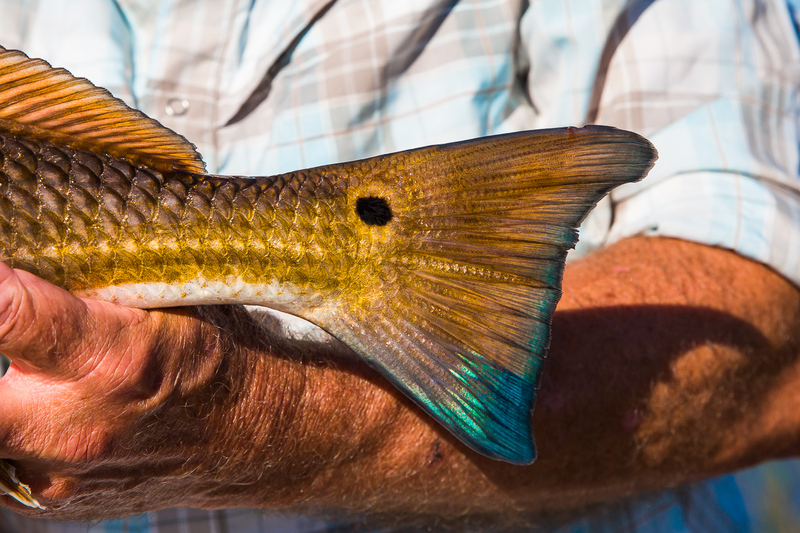 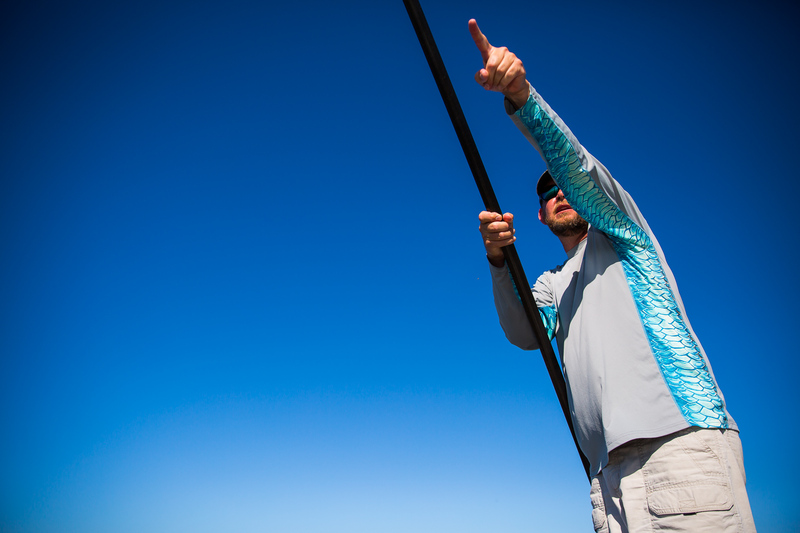 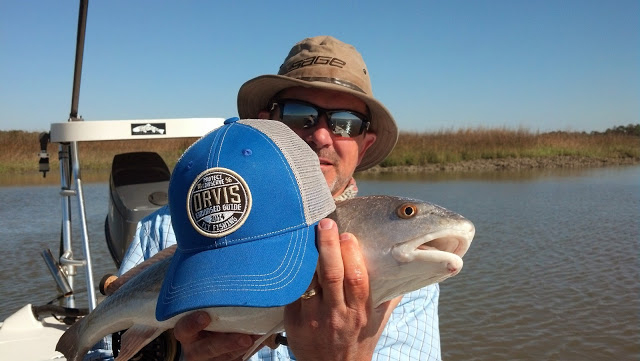 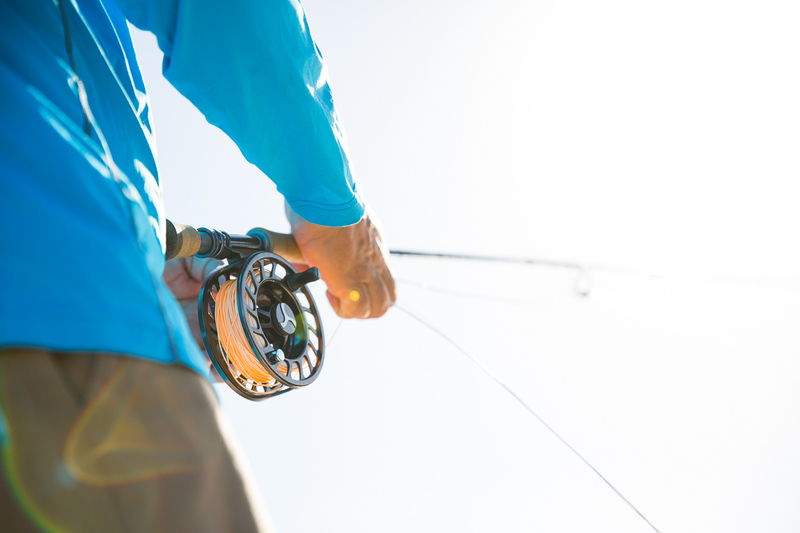 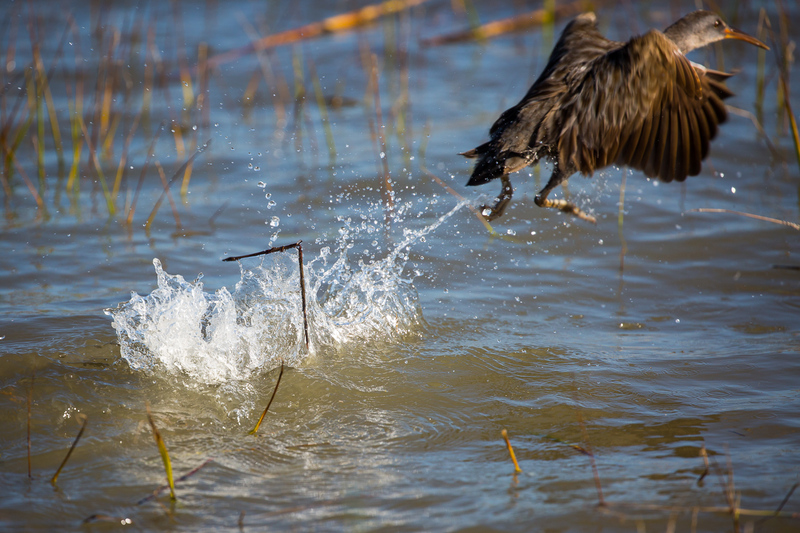 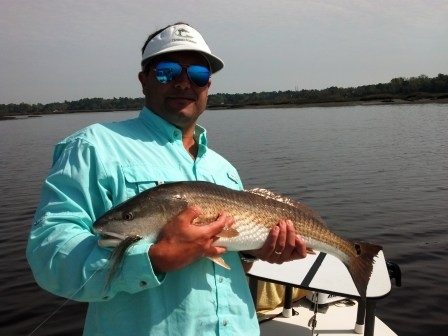 Plan a quick trip to SSI and enjoy some of the best sight fishing for red fish on the east coast. 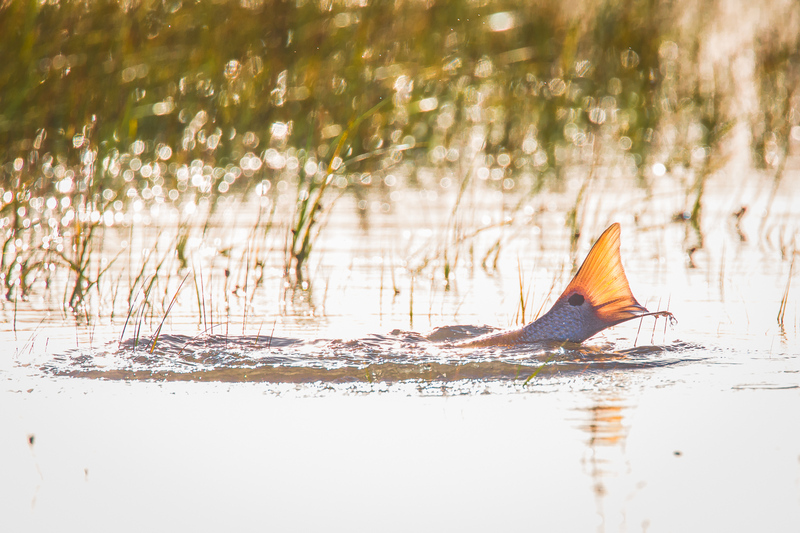 And remember, April brings the arrival of the Triple Tail; So much fun to sight fish.